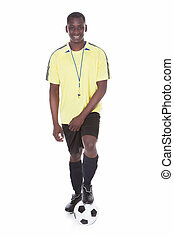 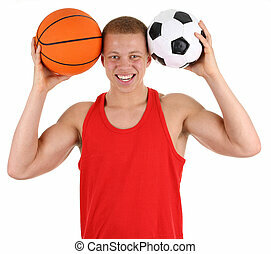 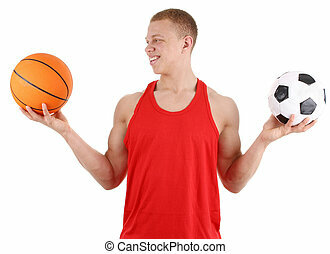 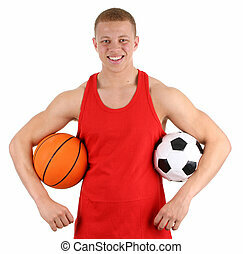 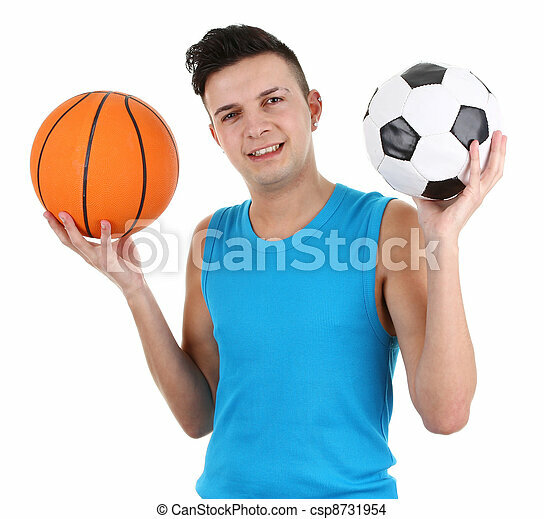 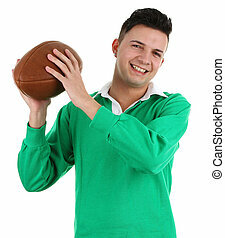 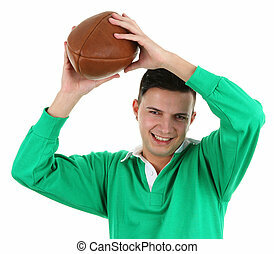 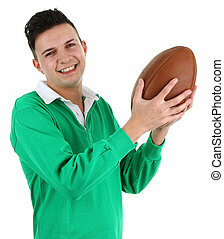 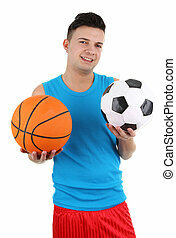 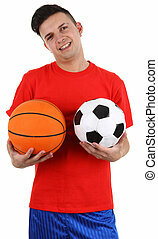 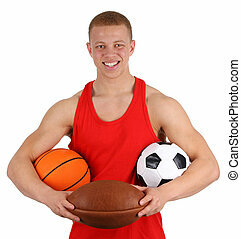 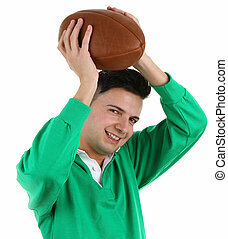 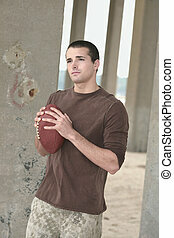 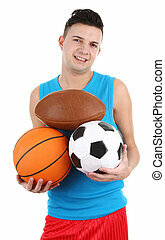 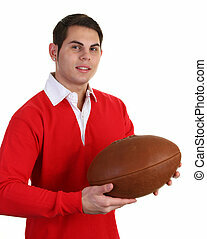 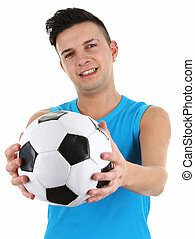 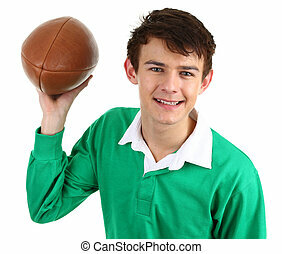 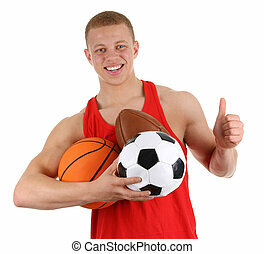 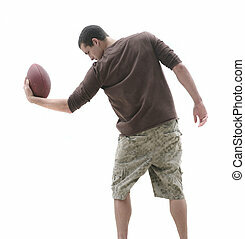 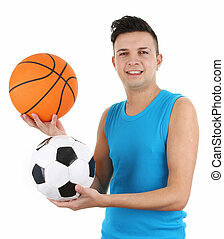 Guy with a football and a basketball. 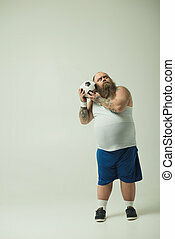 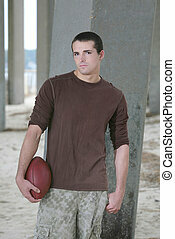 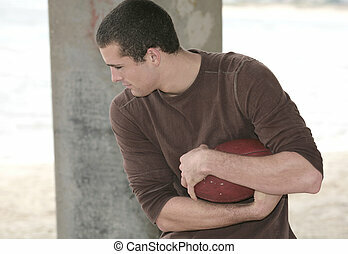 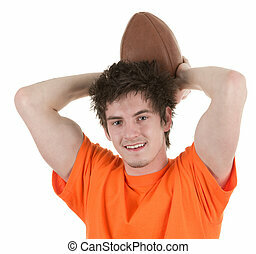 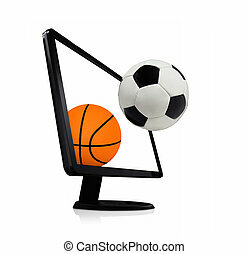 A guy with a football and a basketball, isolated on white. 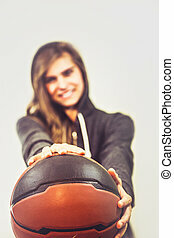 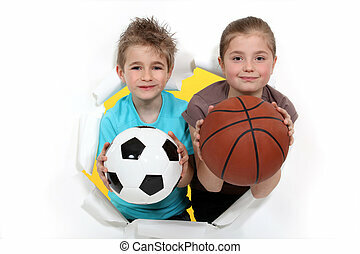 Girl is holding a basketball and smiling. 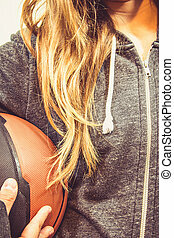 She's wearing a sports hoodie. 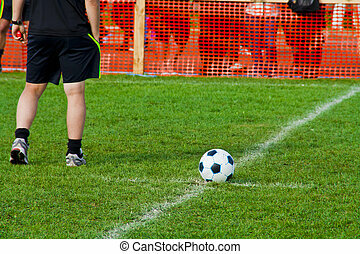 Nice, warm colours of the photo. 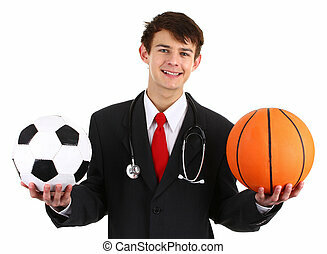 Doctor with a bsketball and a football, isolated on white. 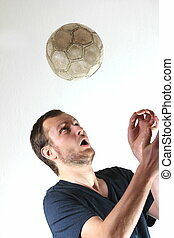 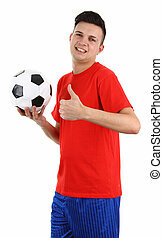 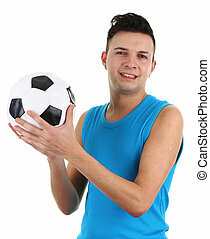 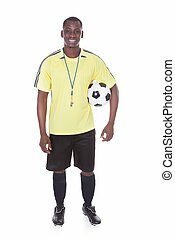 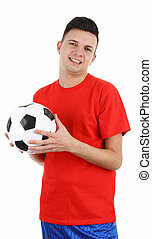 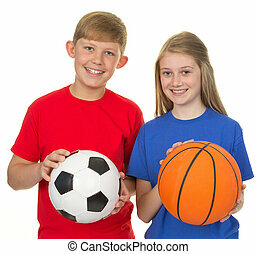 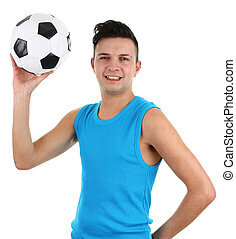 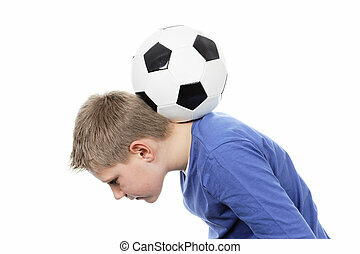 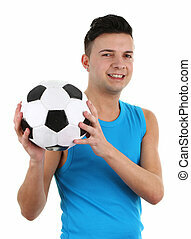 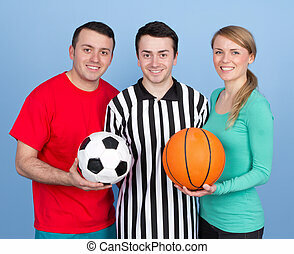 A group of people with sports balls, against a blue background.